Our insulated roof sheets are highly rated for their ability to retain heat which is due to our innovative manufacturing process that incorporates two layers of insulation in order to minimise the loss of heat through the roof. Not only do our insulated roof sheets keep your building warm, but they also reduce your carbon footprint along with the possibility of reducing the cost of your energy bills. Although not the main purpose of our roofing sheets, they also dramatically reduce the level of noise inside your building, creating a peaceful atmosphere inside, not to mention being extremely low maintenance once they are installed. Our unique combination of materials used in the manufacturing of our insulated roof sheets guarantee the elimination of condensation, preventing allergy-causing mould, as well as corrosion and decay of building materials. 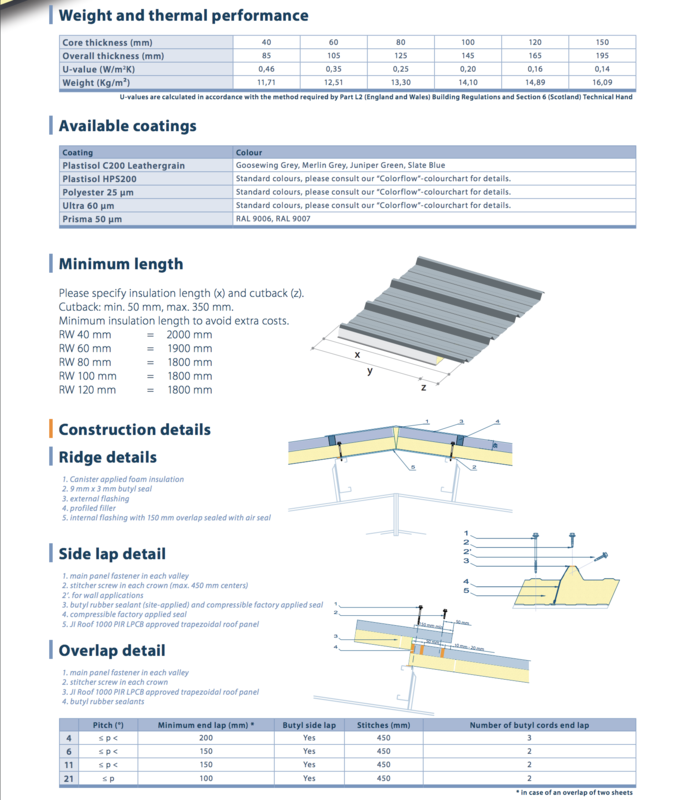 If you are wanting to find out more about our range of insulated roof sheets, please don’t hesitate to get in contact with our friendly team members today on 01902 229412 or by sending an email with your enquiry to info@bushburycladding.co.uk. Alternatively, you can fill out our online contact form, and one of our team will get back to you as soon as possible, answering any questions you may have. Not sure if insulation is what you are after? Why not take a look at the other products we provide, such as corrugated steel roofing sheets, flashings, GRP clear roof lights and wall cladding sheets?